Kemi is a town and municipality of Finland. Visit Kauppahalli and Oulu Cathedral for their historical value. Do some cultural sightseeing at Haukipudas Church and Raahe Museum. 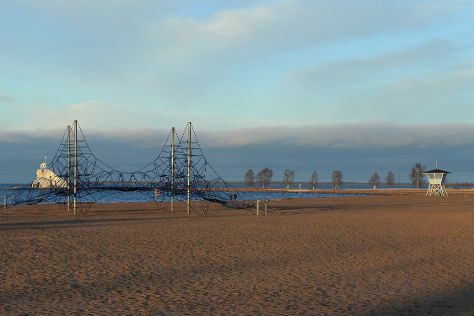 Explore the numerous day-trip ideas around Kemi: Duudsonit Activity Park - TornioHaparanda (in Tornio), Kierikki Stone Age Centre (in Yli-Ii) and Oulu (Nallikari Beach, Toripolliisi, & more). There's lots more to do: pause for some serene contemplation at Tornio Church, contemplate in the serene atmosphere at Kemi Church, look for gifts at Luovon Puoji, and explore the world behind art at Kemin Jalokivigalleria (Kemi Gemstone Gallery). For ratings, other places to visit, reviews, and more tourist information, go to the Kemi trip planner . In December, daytime highs in Kemi are -3°C, while nighttime lows are -11°C. Wrap up your sightseeing on the 23rd (Sun) early enough to travel back home.